Are you tired of settling for small 10%–20% stock gains while others make a fortune? Fed up with missing out on Amazon, Google, and Netflix-level profits of 500%+? The exact stock tickers along with our buy prices and target prices—so you can invest confidently today. 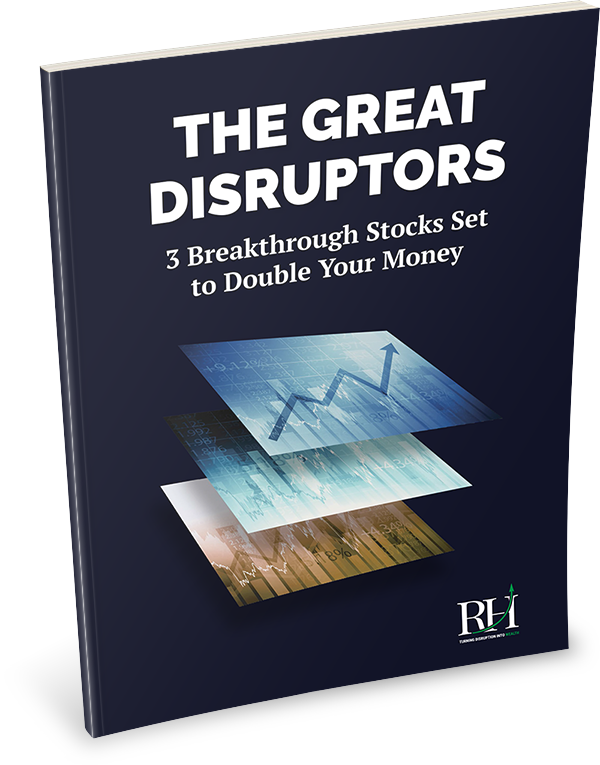 Pages of in-depth research on each stock—so you can decide for yourself if these disruptors are for real. The inside scoop on how these companies are changing the world—just like AMZN, GOOG, and NFLX did. By entering your email, you're opting in to receive our free weekly investment letter that tells you about profitable opportunities in markets. We'll never send you spam, and you can opt-out at any time. © RiskHedge 2018. All rights reserved.